A self-inspection for signs of skin cancer can be humbling, but it might just save my life. Don't be shy. Use full-length mirrors, magnifying glass, and anything else that will help you stay on top of unusual skin blemishes, colorings, or markings. The mirror never lies, no matter how much I’d like it to. The mirror is a timepiece, with each new gray hair marking another minute, and each wrinkle above my brow representing another day behind me on my life’s continuum. I see less hair where I want it, and more where I don’t; I can’t recall any reference to the evolutionary need for ear hair in On the Origin of Species. I can live with that. But now I’m standing naked in front of a full-length mirror, on surveillance for cancerous moles. I’m cruelly reminded that I’m no longer the plucky teenager or the 20-something with few cares and even fewer health concerns. Rather, I’m on the rapid descent toward 50, and in places where there once was nothing but muscle I now find amorphous masses of fat. I feel like a bipedal walrus. Yet, this is certainly one time when I hope the mirror won’t lie. I’ve gone Full Monty before the looking glass in the hopes of catching a potential killer, one that has targeted members of my family before. As I trace my life in the birthmark blemishes, the scars on my legs from old hockey injuries, and the surgical souvenirs of my childhood clumsiness, I’ll gladly overcome my awkwardness in front of the mirror to find melanoma symptoms or other signs of skin cancer. 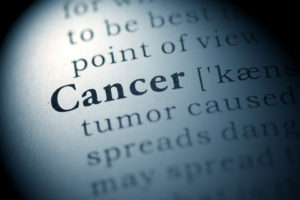 As a physician told me recently, “If it prevents a doctor from coming close to your face with a scalpel to remove a cancer, it’s worth it.” I can live with that, too. If I’m like my father, and anyone else who spends significant time outdoors, I’m at risk for melanoma and other forms of skin cancer. Dad was an avid outdoorsman, and he also spent hours working on cars or any of a number of projects around the yard. He wasn’t an avid user of sunscreen, and occasionally he’d come inside the house with a reddened scalp (or a burned behind when his pants were riding low). So, it wasn’t a complete surprise when, on several occasions, a doctor had to remove basal cell skin cancer from my dad’s hide. Basal cell carcinoma is the most common form of skin cancer, and skin cancer is the most common malignancy in the United States, affecting about one in five Americans at some point in their lives, the American Cancer Society says. I use the full-length mirror to check the more easily visible parts of my body. I also employ a handheld mirror to examine harder-to-see areas, like the backs of my legs and neck. Skin cancer typically develops in sun-exposed areas, such as the face, backs of the neck and hands, arms, tops of the ears and, in men with thinning hair, the scalp. However, it can develop almost anywhere on your body. Asymmetry: The shape of one half of the mole differs from the other. Border: The mole’s edges are often ragged, blurred, or irregular, and the pigment may spread into nearby skin. Color: Uneven color; could be shades of black, brown, tan, white, gray, red, or blue. Diameter: An increase in size, usually larger than 6 millimeters (about a quarter-inch or the diameter of a pencil eraser). Evolution: The mole or lesion is changing or evolving. Basal cell carcinoma: May form as pearly bumps with visible blood vessels, open sores, scaly reddish patches that may bleed, or pink growths with elevated borders. Squamous cell carcinoma: Usually develop as round, red, scaly bumps, often with a flat, elevated, plateau-like area; the lesion may have clear edges and go from pink to red. Regardless, I have to keep on the lookout for cancerous moles. My risk of melanoma will only increase as I get older: Men over age 50 comprise the majority of people with melanoma, and rates of melanoma in men over age 60 are twice as high as those in women and are three times as high in men ages 80 and older, according to the American Cancer Society. Melanoma is more common in older adults partly because the skin pigment that acts as a natural sunscreen (melanin) is less active in older skin, making it more sensitive to sunlight and sun damage. Older adults also are more likely to be taking medications that increase the skin’s sun sensitivity, such as nonsteroidal anti-inflammatory drugs (Advil, Motrin, Aleve) and several antidepressants, blood pressure, and diabetes medications. Melanoma is difficult to treat once it spreads, so identifying it and removing it early are critical. With all types of skin cancer, the earlier you catch it, the easier it is to treat and the more likely you’ll be cured. Oftentimes, patients, not doctors, are the first ones to identify skin cancer. That’s the reason for my self-exam in the buff. You would think that people who’ve had melanoma would, like me, be keeping a watchful eye on their skin and taking appropriate precautions. Yet a recent study (Melanoma Research, February 2016) suggests that many with a history of melanoma aren’t adequately checking their skin for signs of the cancer’s return. In the study, nearly three-quarters of 176 adults with a history of melanoma said they had performed a self-exam in the past two months, but only about one in seven had thoroughly examined all their skin, as I’ve been doing. The findings are disappointing, but not surprising. Earlier research found that within a year after their melanoma diagnosis, many patients reverted back to not using sunscreen regularly. One study found that many melanoma patients had forgotten not only that sun exposure was the primary cause of melanoma, but also that they were at increased risk of developing other cancerous moles elsewhere on their body. So it’s vital to check your skin periodically—about once every month or two—for signs of skin cancer. But don’t check it too often: Skin cancer usually develops slowly, and you might not notice subtle changes to your skin if you look at it too frequently. Also, have your spouse or partner help you perform the self-exam by inspecting the hard-to-see areas. And the next time you get your hair cut, ask your barber or hairstylist to examine your scalp for any suspicious lesions. As you continue your watch for cancerous moles, take advantage of technology. Several smartphone apps—such as My Skin Pal, SkinVision, and Mole Monitor —allow you to take photos of your moles, track them, and monitor their growth. The average person has about 10 to 40 normal moles, which tend to fade away in older adults. People who have more than 50 to 100 moles on their entire skin surface generally face a higher risk of melanoma. But if you’re like me and you have more than a few, it can be difficult to count all the moles on your body. 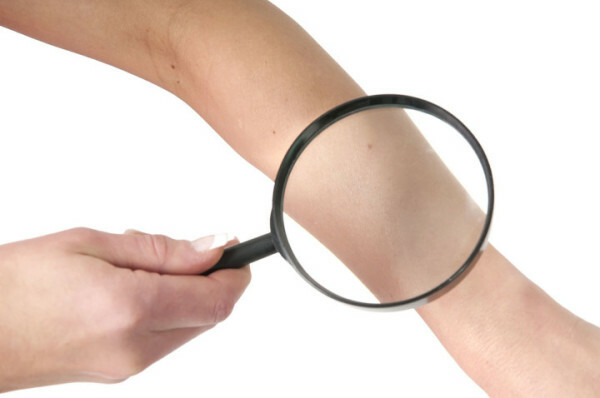 A simple way to estimate your total mole count (and gauge your melanoma risk) may be to review the number of moles on your arm. A study published in February in the British Journal of Dermatology found that having more than 11 moles on one arm was associated with a significantly stronger likelihood of having a total mole count of more than 100. This quick and easy screening tool can allow you or your primary care physician to gauge whether you’re at elevated risk of melanoma and should be evaluated by a dermatologist. During your next health checkup, ask your primary care physician to check you for cancerous moles and other signs of skin cancer. Some experts recommend that everyone over age 50 undergo a baseline skin evaluation by a dermatologist, in addition to periodic skin checks by their primary care physician. If you’re fair-skinned, have a high sun exposure, or have a history of precancerous skin lesions or skin cancer, you may need to see a dermatologist more frequently. As a dermatologist once told me, you don’t have to turn in your “man card” if you use sunscreen or see a dermatologist. Sadly, that’s the perception that some men have when it comes to preventing skin cancer. I used to think that way, as well. But now I’m a changed man. I’m giving my skin some much-needed scrutiny, and I’m also more conscientious about shielding my hide from the sun. I wear sunscreen more often—sun protection factor (SPF) or 40 or higher. The general recommendation is to apply sunscreen a half-hour before you go outdoors, and reapply it every two hours that you’re outside or more frequently if you’re swimming or you sweat a lot. If your hair is thinning, apply sunscreen liquids or sprays to protect your scalp. Wear a wide-brimmed hat or other sun-protective clothing outdoors. Look for products with the Skin Cancer Foundation’s seal of recommendation. Avoid outdoor activities between 11 a.m. and 3 p.m., when the sun’s ultraviolet radiation is at its peak. Stay out of tanning beds. If you want that golden tan, consider sunless tanning, such as spray-on tanning products. Understand your risk. People with fair complexions, red hair, blue eyes, and freckles are at greater risk of skin cancer than those with darker complexions. And, once every month or two, I’ll brave the embarrassment and bare it all in front of the mirror, hoping I won’t find any cancerous moles or other suspicious skin lesions. I’m counting on the mirror to be my truthful friend, a companion in my crusade against skin cancer. I hope you’ll be just as vigilant. aging, allergy, allergy season, anti inflammatory, anti inflammatory drugs, antibiotics, antidepressants, back pain, basal cell, basal cell carcinoma, basal cell skin cancer, blood pressure, bones joints, cancer, cancerous moles, cancers, carcinoma, diabetes, diabetes medications, digestive, ears, forms of skin cancer, health, health concerns, heart health, how to relieve lower back pain, kidney stone pain, lower back pain, medical issues, melanin, melanocytes, melanoma, melanoma diagnosis, melanoma research, melanoma symptoms, muscle, nutrition, pain, precancerous skin, radiation, signs of skin cancer, skin, skin cancer, squamous cell, squamous cell carcinoma, thinning hair, types of skin cancer, ultraviolet radiation, what is nutrition, what s ailing you.